Die cut the love die about 10 times and layer. Use the precision tip glue applicator to make the gluing job easier. 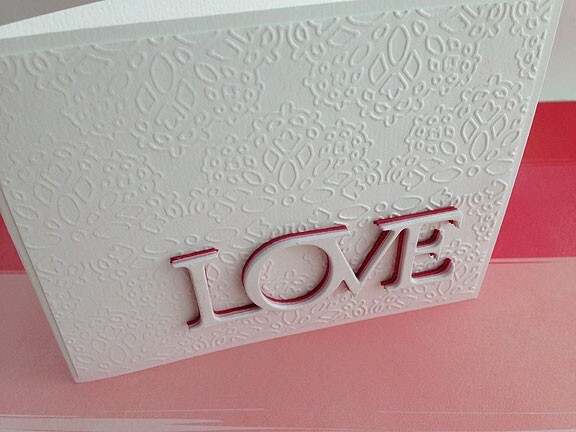 The background is created using the lace embossing plate.